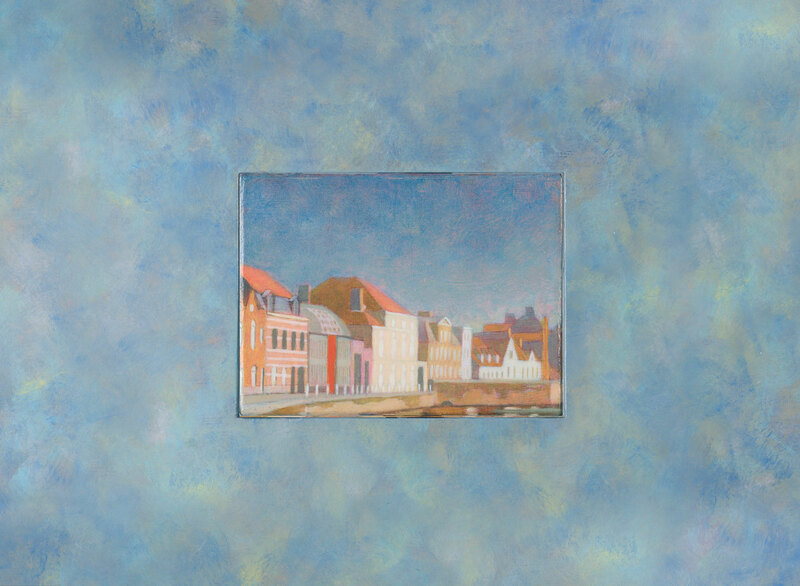 When I discovered (in 2009) how well a turtle shell trompe l’oeil effect had worked on a wide frame for a detailed cityscape I had painted, I decided to bring the abstract effect directly into the painting. So I commissioned a local carpenter to build me a wooden panel with a rotating inner core. I gessoed both sides and set to work. This is the result. It’s not really a painting to hang from a wall, since the back sides also participates. But who ever said art should be functional? back side of the Inside-out view of the Predijkherrenrei painting. The back side of the Predijkherrenrei landscape painting. 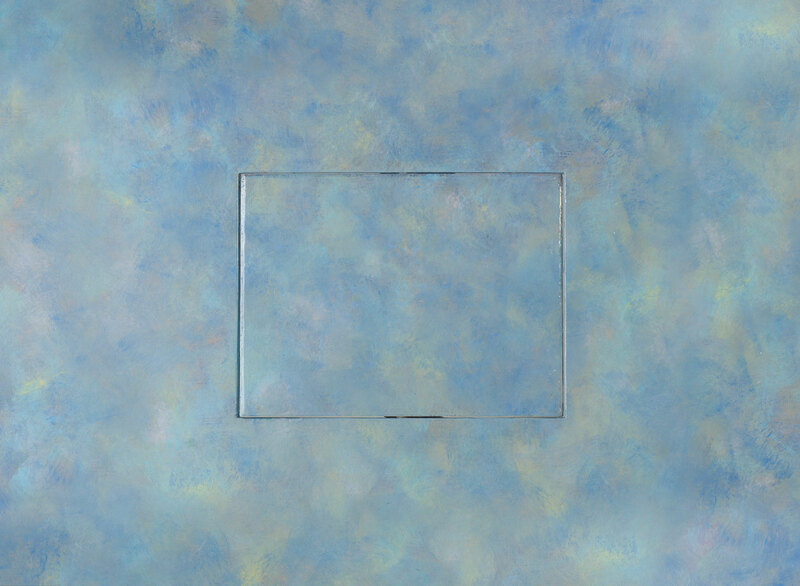 Two sided oil on panel with rotating inner core. Based on a value study. July 2010. 44 x 59 cm or 17 1/4 x 23 1/4 inches. You can read about the work-up of this piece here. 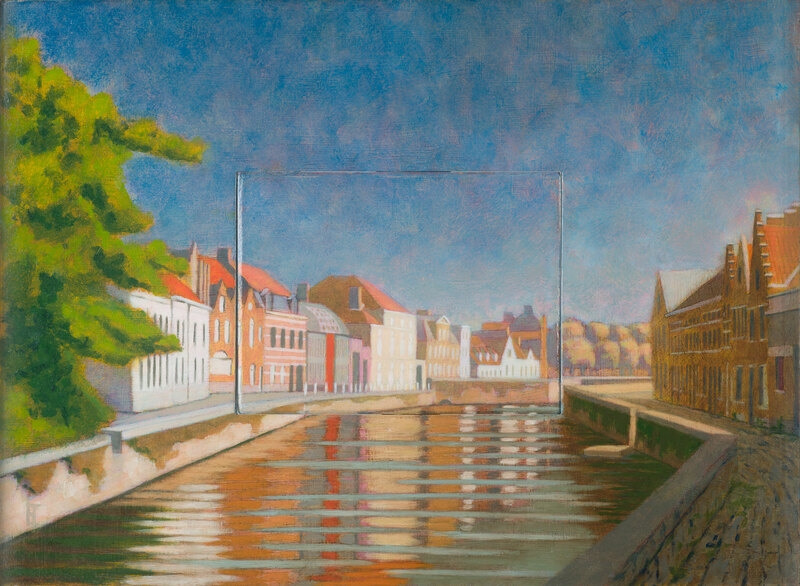 This entry was posted in Landscapes, Oil Paintings and tagged cityscape of Bruges Belgium, inside-out cityscape of the Predijkherrenrei, view of the Predijkherrenrei on July 9, 2010 by ellentrezevant.